Bruce Trentham, Paint out share demonstrated his techniques during his paint demo at the Allied Artists of The Santa Monica Mountains & Seashore, Inc. 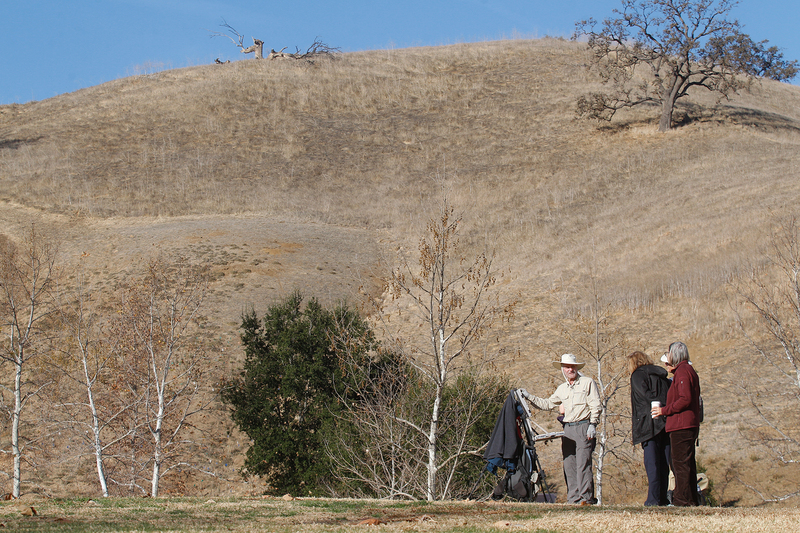 Paint out on Saturday, January 13 at De Anza Park in Calabasas. Allied Artists of The Santa Monica Mountains & Seashore, Inc. hold a paint out with a paint demo every second Saturday of the month in a different location. 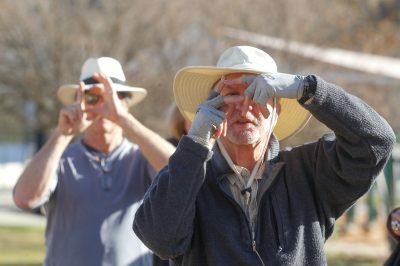 Bruce Trentham, Paint out share demonstrated how he uses his fingers as a viewfinder to compose his picture during his paint demo at the Allied Artists of The Santa Monica Mountains & Seashore, Inc. Paint out on Saturday, January 13 at De Anza Park in Calabasas. 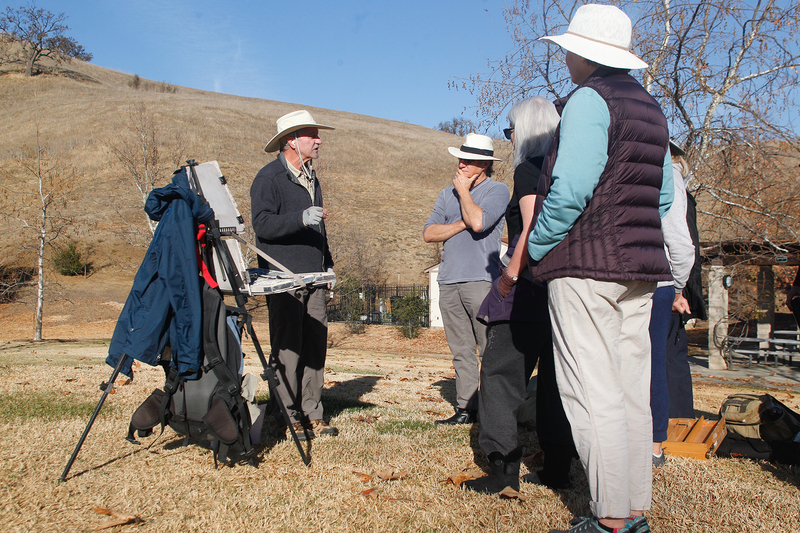 Allied Artists of The Santa Monica Mountains & Seashore, Inc. hold a paint out with a paint demo every second Saturday of the month in a different location. Bruce Trentham, Paint out share puts on finishing touches during his paint demo at the Allied Artists of The Santa Monica Mountains & Seashore, Inc. 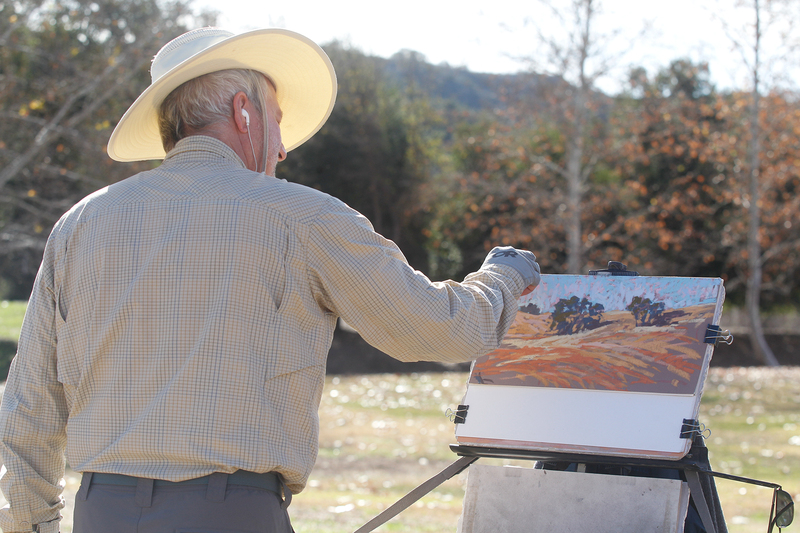 Paint out on Saturday, January 13 at De Anza Park in Calabasas. 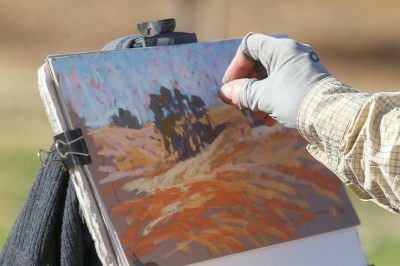 Allied Artists of The Santa Monica Mountains & Seashore, Inc. hold a paint out with a paint demo every second Saturday of the month in a different location.